A team of four, Arie PA3A his XYL Marian PD1AEG with Ad PA8AD and his XYL Angelina PA8AN. They spent the first week on board ship adding GPS location services to the fleet of thirty vehicles that are used to bring the patients to the ship. They then rented two shacks and set up their DX station. The call used was TN2MS They transmitted on two bands simultaneously all day taking it in two hourly shifts and if required a sked at night. Making a total of nearly 29000 contacts including one to Merv Mi0TMW who instigated a collection for the Mersey Ships which all work on voluntary donations. 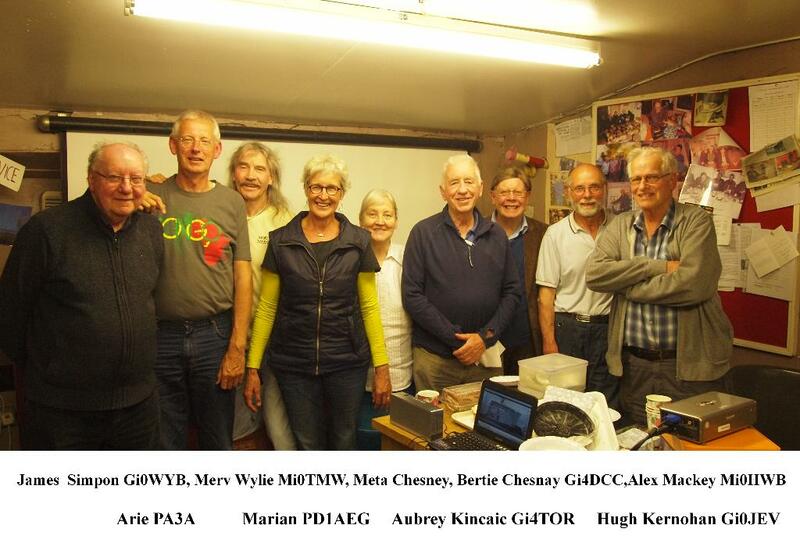 This year Arie and Marian came to Ireland on holiday and expressed a wish to meet our Club members and show us their interesting slides and video. I arranged to keep them and a Club meeting where they gaveus a very interesting talk and show the films of the DX Expedition. They also showed me some slides of their Club outside Rotterdam and the club antenna field.